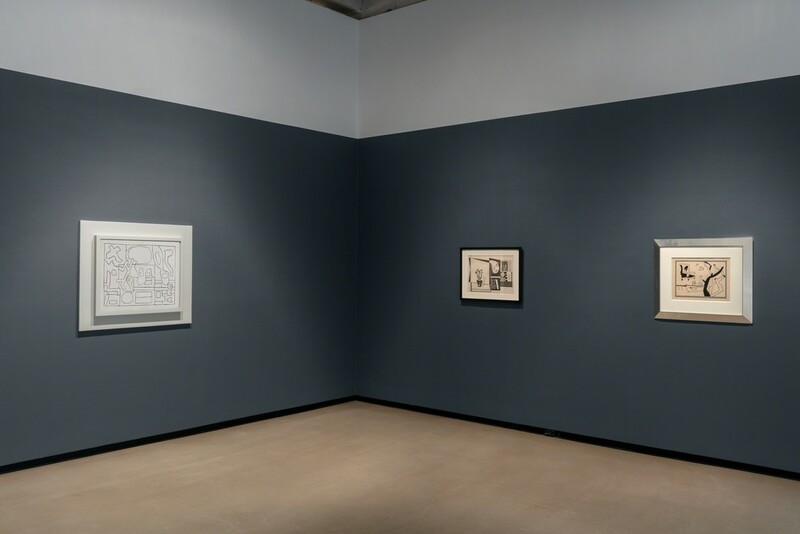 Kasmin is pleased to announce Lines Thicken: Stuart Davis in Black and White, an exhibition of black and white paintings and works on paper by Stuart Davis (1892 - 1964). The exhibition, curated by Priscilla Vail Caldwell in collaboration with the artist’s estate will be on view from September 13 at 293 Tenth Avenue. This is the Estate’s first solo exhibition with Paul Kasmin Gallery who is now its exclusive worldwide representative. 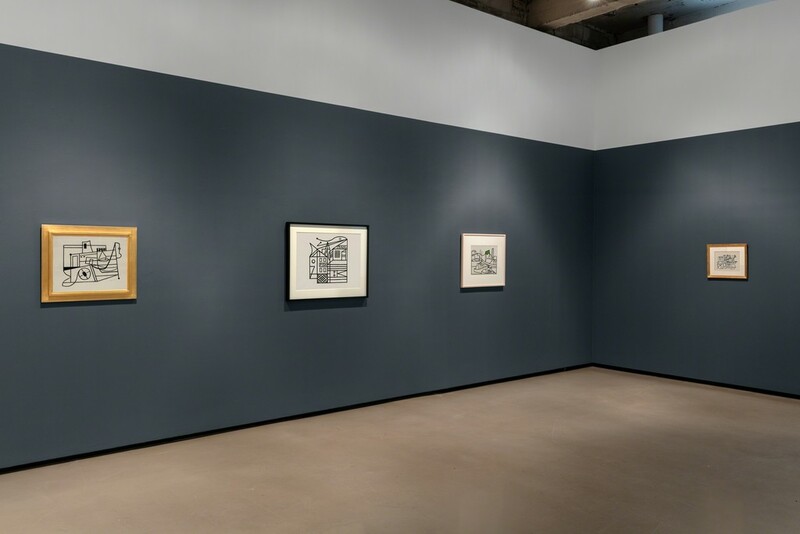 As Barbara Haskell notes in the catalog for the Whitney Museum of American Art’s 2016 Davis exhibition, In Full Swing, “Stuart Davis has been called one of the greatest painters of the twentieth century and the best American artist of his generation.” Davis’ painting career commenced in earnest in 1909 when, still in his teens, he began his studies with the Ashcan artist Robert Henri. 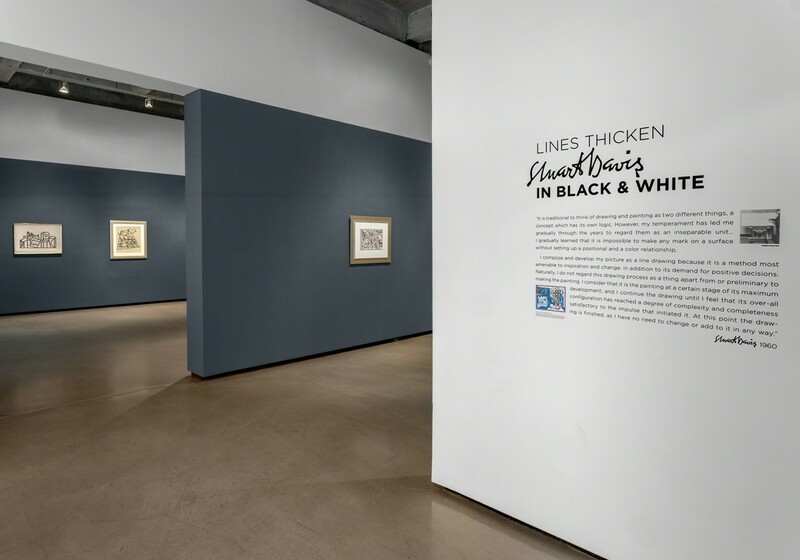 By the mid 1920s, already well known for his use of vivacious color, Davis started executing compositions in black and white. Eliminating color was a bold move for an artist whose work was distinguished by its vibrant palette and reflects the restlessness of an eternal maverick. This maneuver was also indicative of the nature of Davis’ rigorous, ongoing synthesis and reductive process. 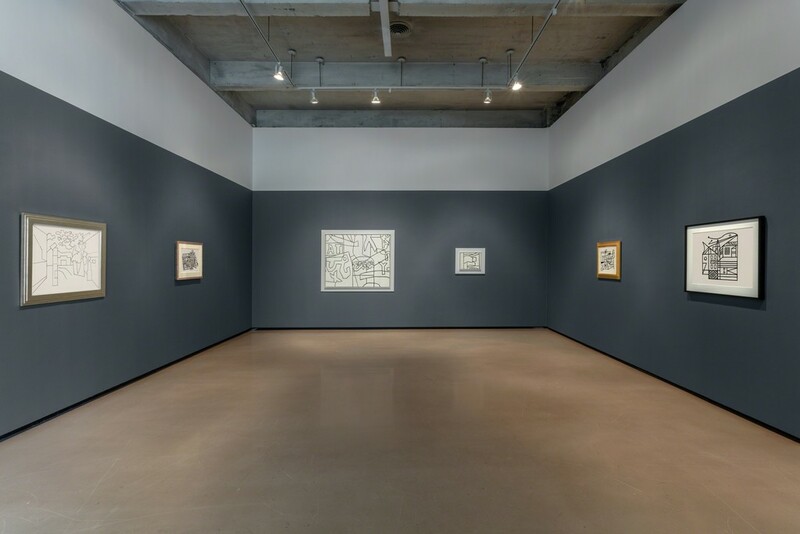 Davis consistently aspired to reach a wider audience with his work, which was defined by seriality and a resolute adherence to a restrained and meaningful vocabulary of shapes. This populist impulse was aligned with his political views which were shaped by his leading roles in organizations such as the Artists Union and The American Artists’ Congress and grown out of the belief that abstraction was the new realism, uniquely suited to expressing modern life. Early in his practice Davis tasked himself with increasing the popular understanding of aesthetics. 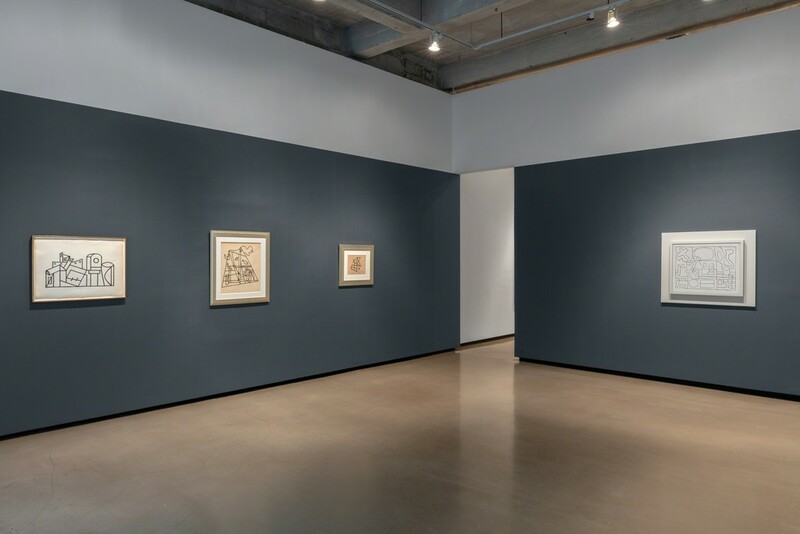 This notion would echo in the theoretical practices of a younger generation (later classified as Minimalists) as articulated in Frank Stella’s claim that “what you see is what you see.” By mid-century it was important to Davis that, in his paintings, line rather than color be the keystone to his compositions. By the late 1940s many of Davis’ art theories and methods took hold. 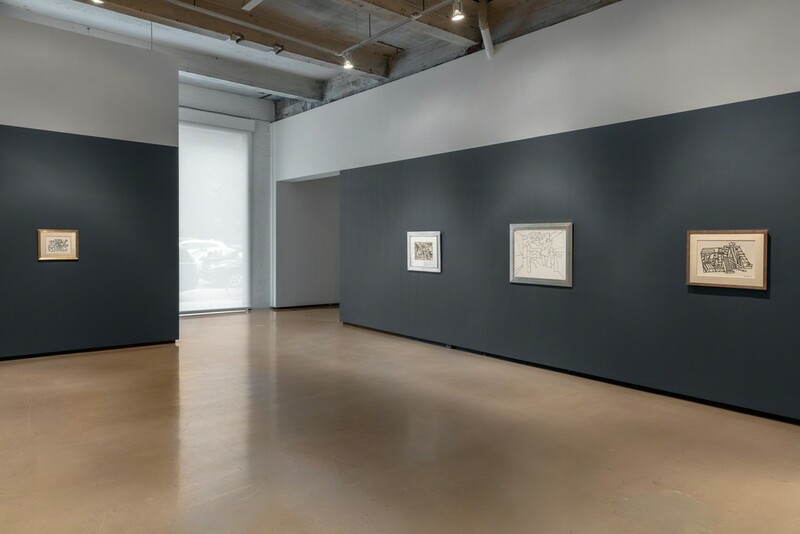 His process of elimination would surface in other seminal bodies of work during the period including Willem de Kooning’s black and white series of the late 1940s; Frank Stella’s Black Paintings featured in Dorothy Miller’s groundbreaking MoMA exhibition Sixteen Americans (December 1959 - January 1960), Yayoi Kusama’s exhibition of white paintings at the artist-run space Brata in 1959—all recognizable memes of Davis’ paintings such as, Landscape (1932 / 1935), Untitled (Black and White Variation on “Pochade”) (c. 1956-1958.) or (Letter and His Ecol. (Black and White Version)) (1962). Priscilla Vail Caldwell is an independent curator and advisor based in New York City. She was previously Director at DC Moore Gallery, Partner at Graham Gallery, Associate at Parrish & Reinish and at Hirschl & Adler Gallery. Caldwell is a member of the board at SculptureCenter in Long Island City and sits on the Advisory Committee at Northwestern University’s Block Art Museum. She earned her Master’s of Art History at Williams College and is a past recipient of the Kress Foundation Grant.